Wish Bone volunteers may walk dogs, assist in the office, volunteer at events, or help with facility upkeep. Wish Bone foster families temporarily take a dog until a forever family is found. This allows us to keep more dogs under our umbrella of care. 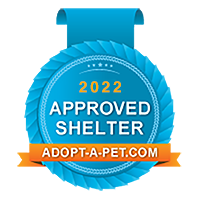 Our mission is based on Nathan Winograd's No Kill Philosophy, which states that all healthy and treatable homeless animals have the right to live.